Horror films have simultaneously captivated and terrified audiences for generations, racking up billions of dollars at the box office and infusing our nightmares with unrelenting zombies, chain saw-wielding madmen, and myriad incarnations of ghosts, ghouls, and the devil himself. Despite evolving modes of storytelling and the fluctuating popularity of other genres, horror endures. 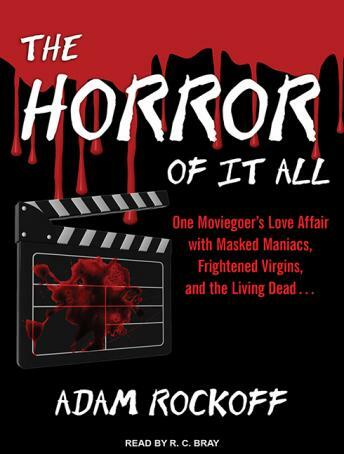 The Horror of It All is a memoir from the front lines of the industry that dissects (and occasionally defends) the hugely popular phenomenon of scary movies. Author Adam Rockoff traces the highs and lows of the horror genre through the lens of his own obsessive fandom, born in the aisles of his local video store and nurtured with a steady diet of cable trash. From Siskel and Ebert's crusade against slasher films to horror's renaissance in the wake of Scream, Rockoff mines the rich history of the genre, braiding critical analysis with his own firsthand experiences. Be afraid. Be very afraid. Not a ground breaking book about horror cinema but it's a fun little read that takes you back to the days of searching the video store for your Friday night horror fix.